Vanity Fair’s tweet about Caitlyn Jenner, who is featured in the July edition of the magazine. The image of Caitlyn Jenner, formerly Bruce, on the cover of Vanity Fair was quickly circulated Monday and praised by LGBT activists for “accelerating acceptance” of transgender people. Jenner told Diane Sawyer in an earlier interview that she hopes sharing her experience will increase awareness of transgender issues and bring more visibility to a community that many people are unfamiliar with. Polling shows that nearly a quarter of Americans don’t know what the term “transgender” means and that only about 1 in 10 say they are close with someone who is transgender. In November and December 2013, the Public Religion Research Institute (PRRI) asked 4,509 U.S. adults if they had a close friend or family member who was transgender. Nine percent of respondents replied “yes” while 89 percent said “no.” An additional 2 percent said “don’t know” or refused to answer. 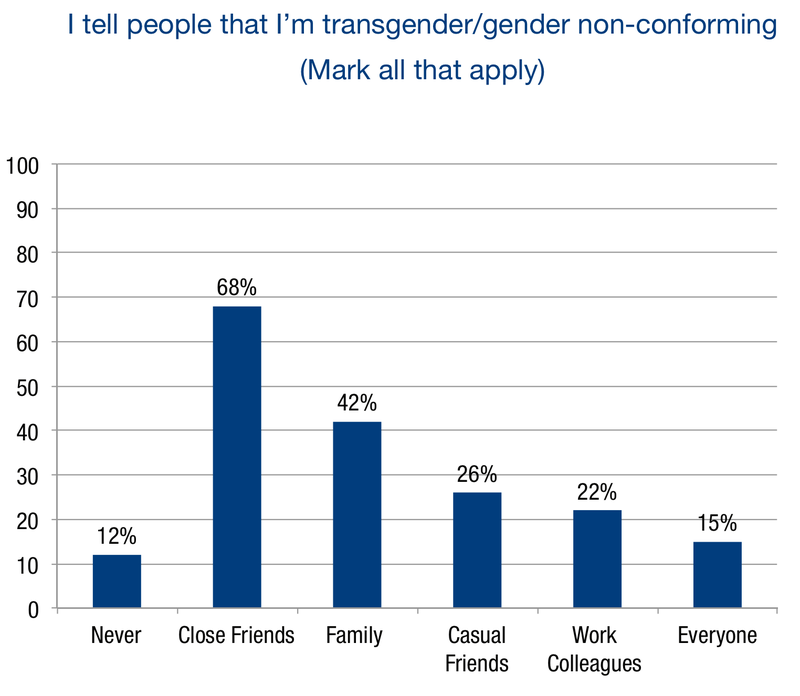 The share of people who said they had a close friend or family member who was transgender was about the same when PRRI asked the question in a smaller 2011 survey. That survey also asked people how familiar they were with the term “transgender.” Of the 1,006 respondents, 24 percent said they were not sure what the word “transgender” meant and 5 percent said they had never heard the term before. We don’t know the size of the transgender population, but there’s reason to think PRRI’s polling may underestimate how common it is to know someone who is transgender. Jenner has chosen to publicly share her gender identity, but many transgender Americans do not. In a 2011 survey of 6,456 transgender or gender non-conforming adults in the U.S., 12 percent said they had never told anyone about their gender identity. Overall, 41 percent of the respondents said they were “generally not out.” The survey, the largest of its kind in the U.S., was published by the National Center for Transgender Equality and the National Gay and Lesbian Task Force and looked at “outness” as one of several risk factors for discrimination.